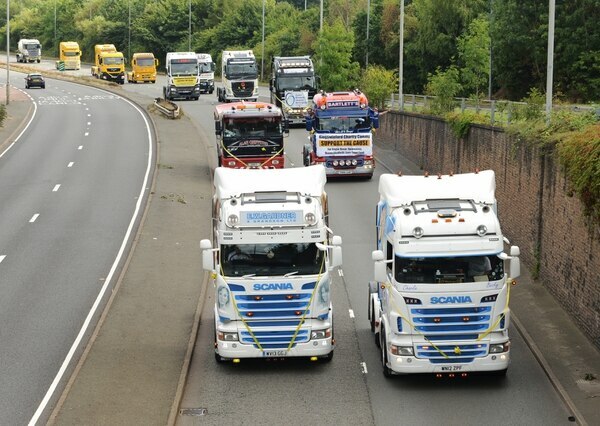 Dozens of lorries took to the roads of the Black Country for a charity truck convoy. 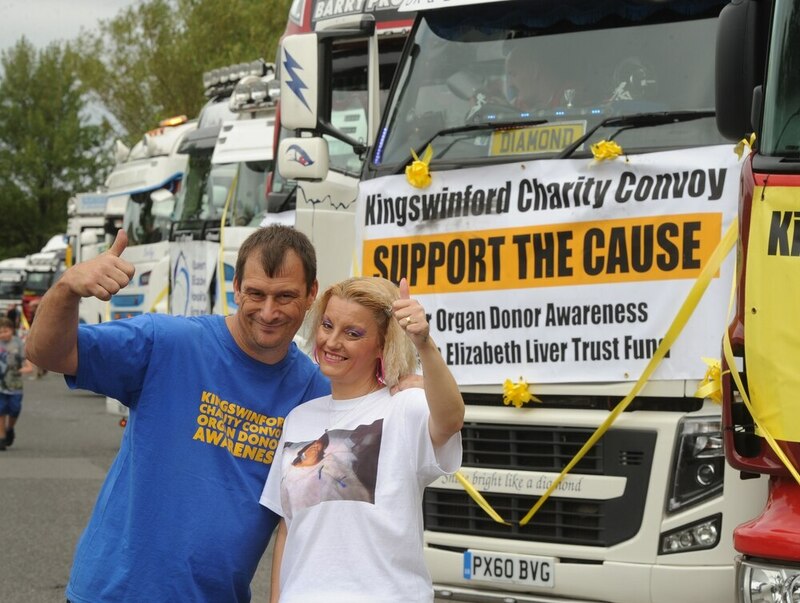 The Kingswinford Charity Truck Convoy saw 44 lorries drive across the region to help raise awareness of organ donation. The event is organised by Andrew Day, aged 45, of Dudley, whose wife Rachel, 42, is fighting a terminal illness which causes her immune system to attack her organs. She had a transplant after being diagnosed three years ago but it was rejected by her system – now she needs another one but is yet to find a match. The convoy, which took place on Saturday afternoon, began at the Hilton Park Services on Junction 10a of the M6 before journeying through Wolverhampton, Bilston and Dudley. The HGVs headed towards Stourport for a charity auction in the evening. Lorry driver Mr Day, who has now stopped working abroad and spends much of his time at home looking after his wife, said the event was ‘fantastic’. “We hold the convoy every year – it’s for organ donor awareness to get the word out further that more organ donors are needed to save people’s lives. “My wife had a transplant a few years ago because her immune system keeps attacking her organs. “She needs another transplant now to give her the chance of staying around for longer. "Her organs started failing three years ago now, the doctors didn’t think she would make it this far but has proved to everyone she’s got the fight and is willing to keep going. "With another transplant it may give her some more years but it wouldn't cure her because the illness is terminal. "It was fantastic. We got quite a lot of attention from the public and all the drivers who take part cover their own costs to support the cause." Lorry drivers travelled from as far as Bristol to take part in the event. “Rachel really enjoyed herself and was grateful of the support from the drivers and the public,” Mr Day added.